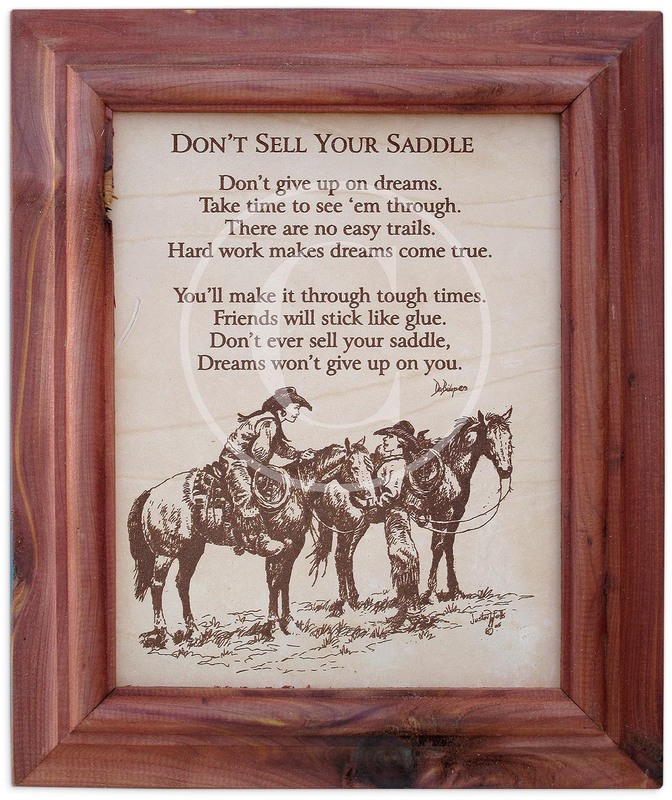 This unique picture and verse is laser engraved on LEATHER, and framed in aromatic red cedar by a real lumber mill in Yukon, Oklahoma. Has slot to hang on back, or display w/easel (sold separately) Image size 8"x10" overall size 10"x12". Don't give up on dreams. Take time to see 'em through. There are no easy trails. Hard work makes dreams come true. You'll make it through tough times. Friends will stick like glue. Dreams won't give up on you.